Dexter Morgan, DexterViewers often sided with Miami Metro blood spatter analyst Dexter Morgan (Michael C. Hall) over his victims. That’s because he was a strange breed: A vigilante killer, trained to use his urges only for good by painstakingly researching, then ritualistically killing bad guys and gals once he was sure they were serial killers themselves -- a species eradicating predator. His day job gave him unprecedented access to the tools and information needed to fulfill his night-time occupation of ridding the world of fellow killers, one garbage bag of body parts in the ocean at a time. And yet, while he ostensibly used his compulsions for good, the hypocrisy of it all was never far from site. 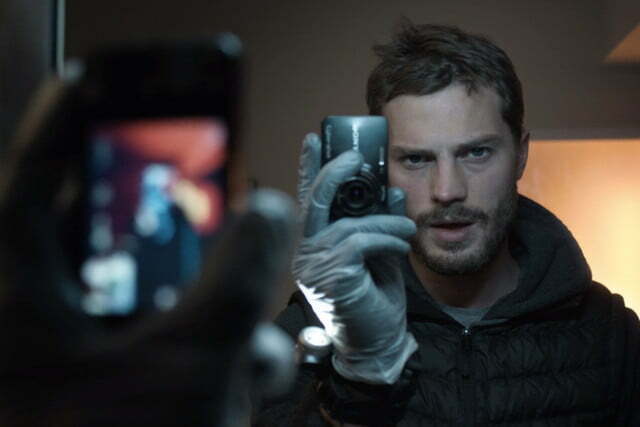 Paul Spector, The FallWhile most viewers know him better as Christian Grey, Jamie Dornan's turn as serial killer Paul Spector in this highly-addictive British-Irish series was as masterful as any you'll see on TV. A seemingly well-adjusted husband, psychologist, and father of two, Spector's double life took him on the hunt for young professional women. He eventually acted on his deep desire to kill them, sometimes meticulously positioning their bodies and even bathing and painting their nails before fleeing the scene. Once he finally met his match in inspector Stella Gibson -- played brilliantly by X-Files star Gillian Anderson -- his disturbed life began to unravel. If you think Dornan is all cheese and little talent, you'll definitely want to catch all three seasons of this nail-biting series on Netflix. 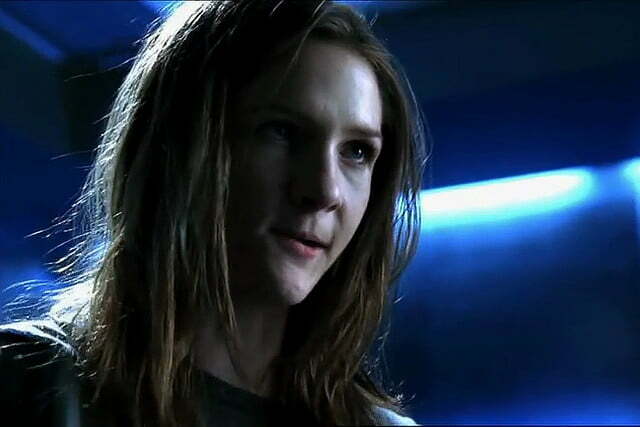 The Miniature Killer, CSI: Crime Scene InvestigationThe only female on the list, Natalie Davis, a.k.a. The Miniature Killer (Jessica Collins) from CSI season 7 got her name due to her affinity for creating highly-detailed, scale models that reflected each of her crime scenes, inspired by the scene she witnessed after pushing her little sister to her death from a treehouse. She’d leave her creations on site, or deliver them to someone involved in the investigation. Her method of murder was always brutal, ranging from bludgeoning to poisoning and even electrocution. 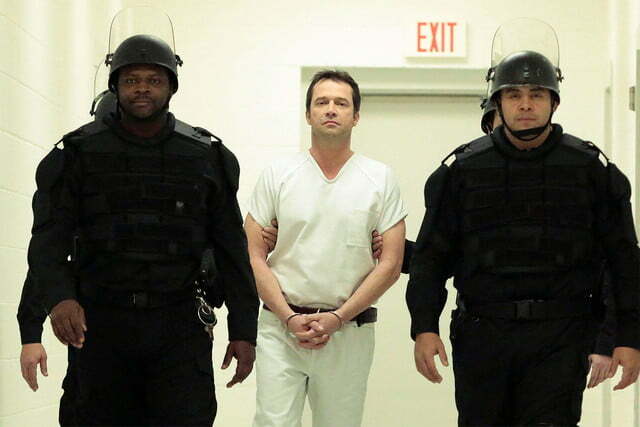 Joe Carroll, The FollowingDespite Kevin Bacon being at the center of the story as FBI agent Ryan Hardy, the scene-stealer was antagonist and serial killer Joe Carroll (James Purefoy), an attractive and charismatic former literary professor who guided a group of loyal cult followers to conduct brutal murders. The genuine pleasure Carroll got from taunting Hardy could make the hairs on your neck stand up while oddly almost making you like him – almost. It’s no surprise the show went downhill once the cat and mouse game between Carroll and Hardy ended. 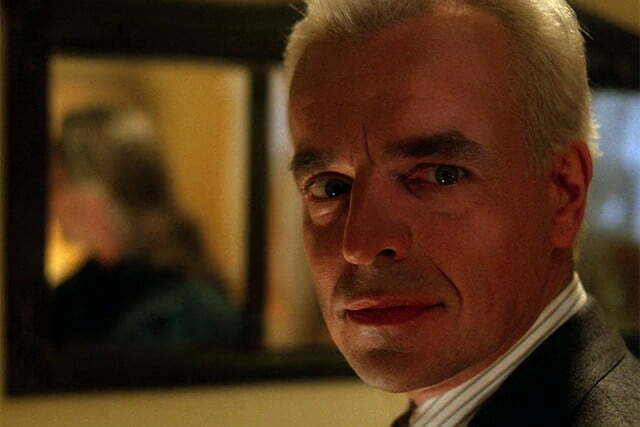 Leland Palmer, Twin PeaksThis choice is a standout on the list for its demonic connection. The murders at the hand of this terrifying character, featured in the show’s revival on Showtime and played by Ray Wise, were actually the doings of an evil spirit named “BOB.” Despite Leland urging BOB to stop the kills, which include his own daughter Laura Palmer, BOB’s possession was just too powerful. Incidentally, has their ever been a spirit with a name as subtly evil as BOB? Frank Breitkopf, Criminal MindsWith a revolving door of seemingly infinite serial killers, it's hard to pick the top killer from this over-the-top drama. 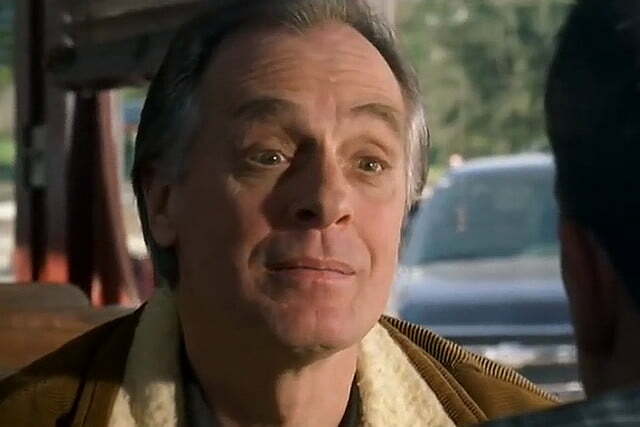 One of the most engaging was season 2's Frank Breitkopf, thanks in large part to the performance of the oft-overlooked Keith Carradine (brother of the late David Carradine). As is common in the series, Breitkopf developed sexually sadistic behaviors, in this case due in part to witnessing his prostitute mother entertain clients in their home as a child. With his makeshift camper/torture chamber, Breitkopf would abduct and brutally torture his victims, then live off their possessions and money. Always one step ahead of the law, Breitkopf later fell for one of his potential victims, gifting her wind chimes made from human rib bones. The Trinity Killer, DexterDexter came face-to-face with a number of formidable killers through the series, like season 1's Ice Truck Killer. 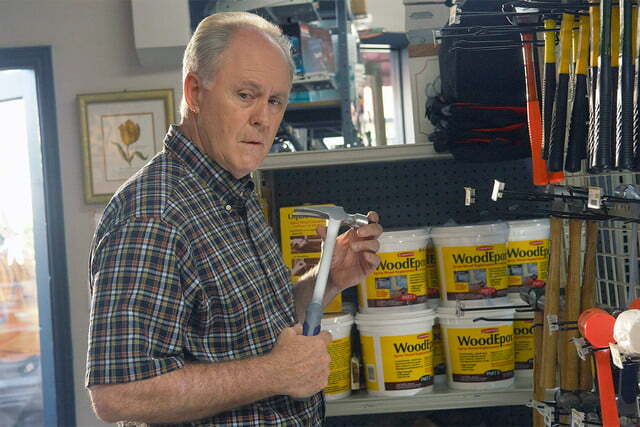 But none was as fascinating as the Trinity Killer, played by the great John Lithgow. Hiding in plain sight, Arthur Mitchell travelled the U.S. building houses for the less fortunate, using his charitable work as a cover for his dirty deeds. His kills were always performed in threes to mimic the deaths of his own family members. A young woman is murdered in a bathtub, a mother falls to her death, and a man gets bludgeoned. What truly made him terrifying, though, was his effect on the show's anti-hero, Dexter himself. Hannibal Lecter, HannibalAs anyone who's seen Silence of the Lambs can attest, it was a daunting task undertaking this fiendish character from the mind of Thomas Harris after the great Anthony Hopkins left his indelible mark. 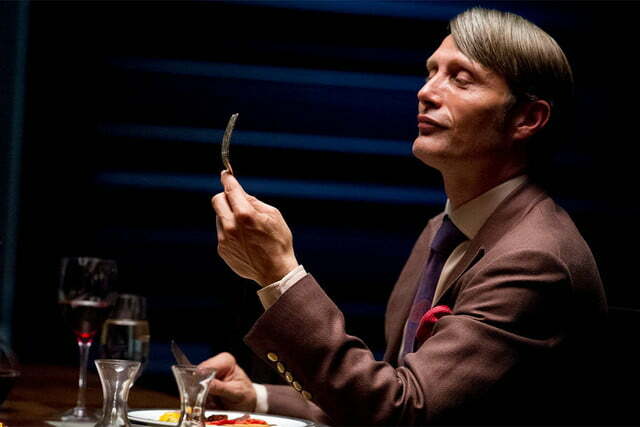 But Hannibal's Mads Mikkelson made the character all his own for all three seasons of this haunting NBC series, crafting an elegant and wonderfully measured monster in the guise of a brilliant psychiatrist. Keeping his enemies close, and his victims closer, this masterful performance is the stuff from which careers are made. Many stories of real life serial killers, from Jeffrey Dahmer to Charles Manson, have long been chronicled in film and Television. 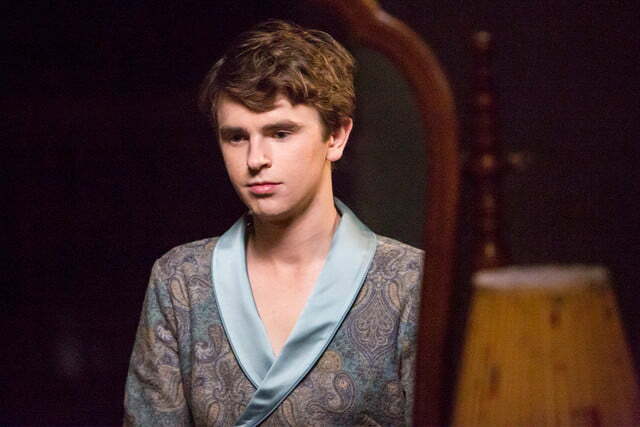 But the small screen has also brought forth a menacing array of fictional TV serial killers who are so terrifying, we’re glad they’re fictional. 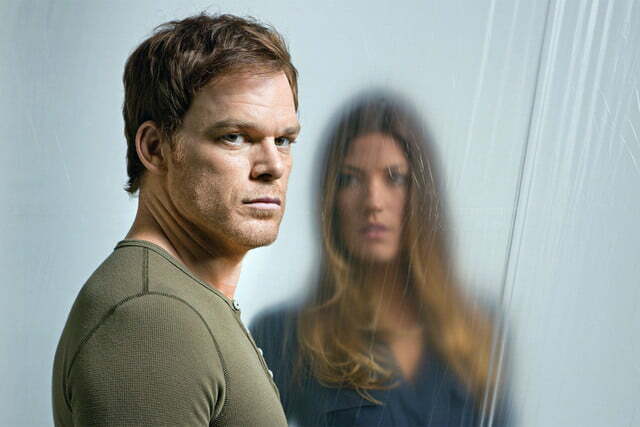 Viewers often sided with Miami Metro blood spatter analyst Dexter Morgan (Michael C. Hall) over his victims. That’s because he was a strange breed: A vigilante killer, trained to use his urges only for good by painstakingly researching, then ritualistically killing bad guys and gals once he was sure they were serial killers themselves — a species eradicating predator. His day job gave him unprecedented access to the tools and information needed to fulfill his night-time occupation of ridding the world of fellow killers, one garbage bag of body parts in the ocean at a time. And yet, while he ostensibly used his compulsions for good, the hypocrisy of it all was never far from site. While most viewers know him better as Christian Grey, Jamie Dornan’s turn as serial killer Paul Spector in this highly-addictive British-Irish series was as masterful as any you’ll see on TV. A seemingly well-adjusted husband, psychologist, and father of two, Spector’s double life took him on the hunt for young professional women. He eventually acted on his deep desire to kill them, sometimes meticulously positioning their bodies and even bathing and painting their nails before fleeing the scene. Once he finally met his match in inspector Stella Gibson — played brilliantly by X-Files star Gillian Anderson — his disturbed life began to unravel. If you think Dornan is all cheese and little talent, you’ll definitely want to catch all three seasons of this nail-biting series on Netflix. The only female on the list, Natalie Davis, a.k.a. The Miniature Killer (Jessica Collins) from CSI season 7 got her name due to her affinity for creating highly-detailed, scale models that reflected each of her crime scenes, inspired by the scene she witnessed after pushing her little sister to her death from a treehouse. She’d leave her creations on site, or deliver them to someone involved in the investigation. Her method of murder was always brutal, ranging from bludgeoning to poisoning and even electrocution. Despite Kevin Bacon being at the center of the story as FBI agent Ryan Hardy, the scene-stealer was antagonist and serial killer Joe Carroll (James Purefoy), an attractive and charismatic former literary professor who guided a group of loyal cult followers to conduct brutal murders. The genuine pleasure Carroll got from taunting Hardy could make the hairs on your neck stand up while oddly almost making you like him – almost. It’s no surprise the show went downhill once the cat and mouse game between Carroll and Hardy ended. This choice is a standout on the list for its demonic connection. The murders at the hand of this terrifying character, featured in the show’s revival on Showtime and played by Ray Wise, were actually the doings of an evil spirit named “BOB.” Despite Leland urging BOB to stop the kills, which include his own daughter Laura Palmer, BOB’s possession was just too powerful. Incidentally, has their ever been a spirit with a name as subtly evil as BOB? With a revolving door of seemingly infinite serial killers, it’s hard to pick the top killer from this over-the-top drama. One of the most engaging was season 2’s Frank Breitkopf, thanks in large part to the performance of the oft-overlooked Keith Carradine (brother of the late David Carradine). As is common in the series, Breitkopf developed sexually sadistic behaviors, in this case due in part to witnessing his prostitute mother entertain clients in their home as a child. With his makeshift camper/torture chamber, Breitkopf would abduct and brutally torture his victims, then live off their possessions and money. Always one step ahead of the law, Breitkopf later fell for one of his potential victims, gifting her wind chimes made from human rib bones. Dexter came face-to-face with a number of formidable killers through the series, like season 1’s Ice Truck Killer. But none was as fascinating as the Trinity Killer, played by the great John Lithgow. Hiding in plain sight, Arthur Mitchell travelled the U.S. building houses for the less fortunate, using his charitable work as a cover for his dirty deeds. His kills were always performed in threes to mimic the deaths of his own family members. A young woman is murdered in a bathtub, a mother falls to her death, and a man gets bludgeoned. What truly made him terrifying, though, was his effect on the show’s anti-hero, Dexter himself. 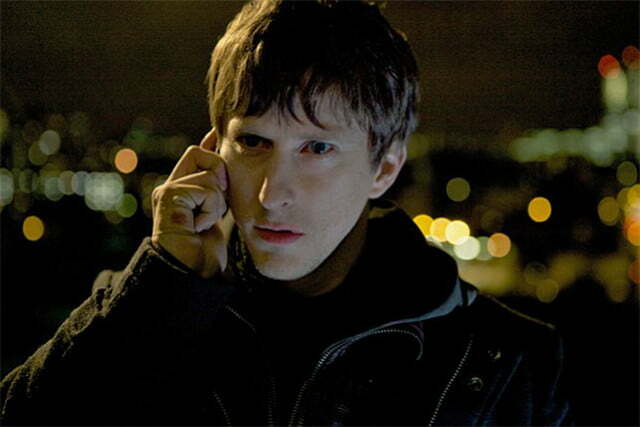 Every list of serial killers needs a masked man, and Cameron Pell (Lee Ingleby) fits this bill with frightful gusto, donning a hooded jacket and Mr. Punch mask to perform his kills by slashing his victims’ throats or stabbing them to death. Pell would even spice things up by sending the police a live webcam feed. A lunatic of epic proportions, he longed to be remembered alongside his “heroes,” like Jack the Ripper, but Detective Luther (Idris Elba) had other plans for his legacy. As anyone who’s seen Silence of the Lambs can attest, it was a daunting task undertaking this fiendish character from the mind of Thomas Harris after the great Anthony Hopkins left his indelible mark. But Hannibal’s Mads Mikkelson made the character all his own for all three seasons of this haunting NBC series, crafting an elegant and wonderfully measured monster in the guise of a brilliant psychiatrist. Keeping his enemies close, and his victims closer, this masterful performance is the stuff from which careers are made.